But unfortunately, due to the diplomatic relationship of our beloved country with other nations, we have no choice but to apply for visas to plenty countries. Visa applications can be so exhausting especially with some of the ridiculous demands and worse despite all the troubles, the application will now be rejected. I know how I was discouraged from applying for the South Africa visa, I was told there were more cases of visa rejection than approvals. 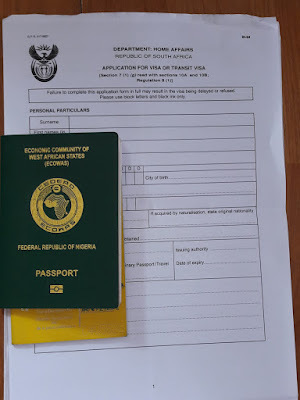 South Africa visa application from Nigeria doesn’t have to be a hustle if you follow the instructions and honestly provide all required information. Download the application form BI-84 for Short term/Visitor Visa only; for a long-term visa, you are to download the DHA-1738 Form 8. Fill the form in CAPITAL letters and BLACK biro only completely without leaving blanks. Write N/A in fields which are not applicable to you. The Checklist below details the required document you are to submit along with your application form. Please note that only coloured photocopies are accepted. If a friend is hosting/inviting you, he/she should also send you a Letter of invitation. If self-employed, attach documents of ownership and a draft letter stating so. If you are a student, ensure you attach a letter of introduction from your institution of study. You do not have to make pre-paid hotel bookings, there are a number of hotels which allow you make a reservation without payment. 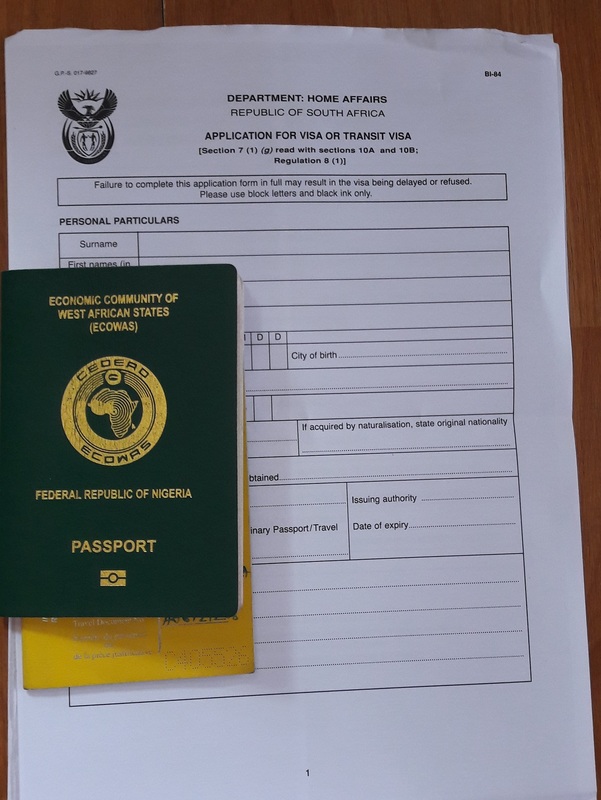 Applicants are required to submit their Visa applications (form and all required documents) personally at the VFS South Africa Visa Application centres in Lagos (Plot 110, Admiral Ayinla Way, Opposite Treasure Garden Estate Third Roundabout, Lekki Phase I), Abuja (No. 38, Lobito Crescent, Wuse 2) or Port Harcourt (Vineyard Shopping Centre, 88 Woji Road, GRA). There is a limit to the number of applications accepted daily. I paid 28,700 Naira when I applied for my visa in December 2016 but a friend who applied recently paid the sum of 31,310 Naira in Lagos. Prices for Abuja and Port Harcourt are slightly different. Only 8,600 Naira goes to the embassy while the rest is the administrative fee for VFS. You can never be too sure of the exact amount until you get to the VFS centre. Visa application fee and services fee is paid at the bank teller counter situated inside the VFS Centre. 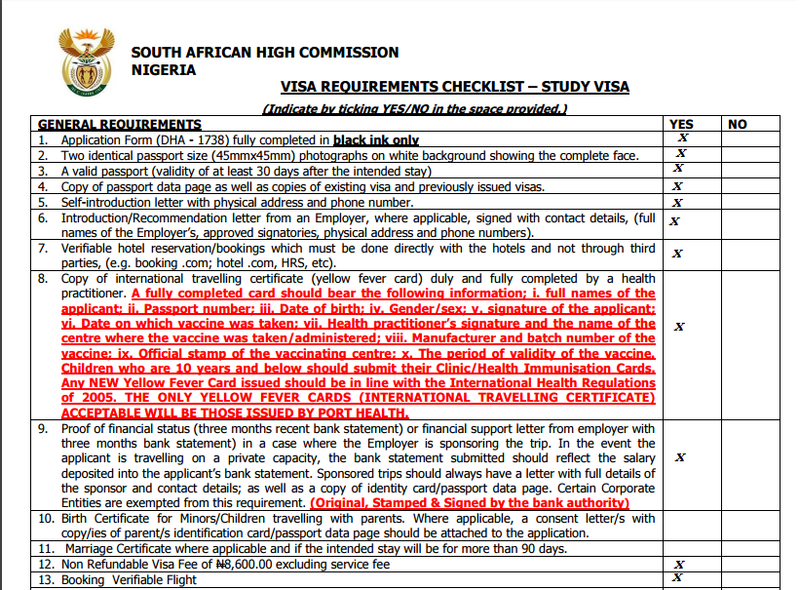 South Africa Visa processing turnaround time is a minimum of 5 working days from the submission date. 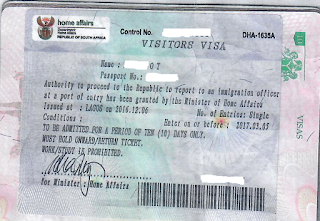 I got my visa 15 working days after submission, but a friend got her passport back within 10 working days. 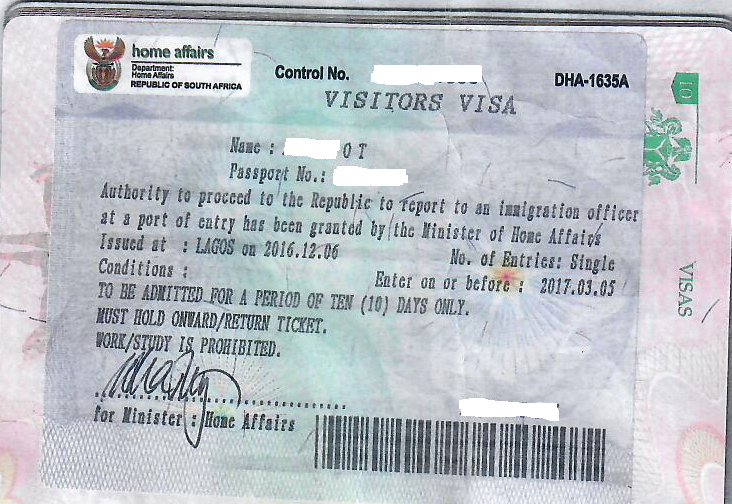 You can track your visa application online by entering your Reference Number and your Date of Birth here. I had to track mine because I never received any SMS from the VFS Centre meanwhile my passport was already with them for two days before I went there. For collection, you will be required to come along with the pink copy of the receipt you were given when you submitted your application. All the best with your application. This is one of the countries I would like to tick off my list. They rejected a friend of mine too last month, despite the fact that he had been there twice. Now that is crazy, they have started doing UK style. Just seeing your comment, I will look for the letter and send it to you.